The GMAT loves to test Parallelism on Sentence Correction. When are we allowed to drop words or phrases in the second branch of parallel structure? First, try these four practice questions, which each explore that very issue. 1. Hannibal chose to invade Roman territory by the northern route, crossing the Alps doing it, instead of by sea. 2. Maxwell’s theory of Electromagnetism in 1865 was the first “unified field theory”, with Electroweak in 1961 only being the other, because no further theory has united the electroweak field with either the Strong (Hadronic) force or Gravity. 3. Peter O’Toole was nominated for his first Oscar in 1962 and his eighth in 2006, but he never actually won the award. 4. George Clinton, the governor of New York for many years, served as Vice President under Thomas Jefferson, and again under James Madison, to become only one of two men to serve as Vice-President under two different US Presidents. Explanations will come at the end of this article. The GMAT loves parallelism because it’s not purely formulaic: it’s a logical structure as well as a grammatical structure, and one must think about both grammar and logic to determine whether it is correct. In principle, any two (or more) grammatical forms can be in parallel: nouns (fight or flight), verbs (hit and run), adjectives (necessary and proper), adverbs (truly, madly, deeply), or prepositional phrases (in sickness and in health). On the GMAT Sentence Correction, though, single-word parallelism is not all that interesting. 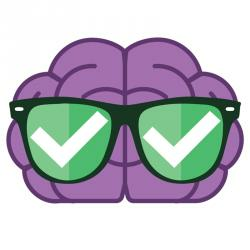 The GMAT likes putting more complicated, multi-word structures in parallel: infinitive phrases, participial phrases, gerund phrases, and entire clauses. Of course, any clause has its own full [noun] + [verb] structure. The question is, if clause #1 is in parallel with clause #2, how much of the full clause structure does clause #2 have to repeat? Clause #1: A told B about X over lunch on Monday. Clause #2: A told B about Y over lunch on Wednesday. Parallelism: Over lunch, A told B about X on Monday and about Y on Wednesday. Notice that the full [noun] + [verb] structure is absent from the second clause. That’s how we get from separate clauses to parallel structure — a great fact to know if you are a writer, but this is a bit different from your job on the GMAT Sentence Correction. This is one of the most challenging things about parallelism: recognizing it when many common words have been dropped. Consider this related parallel structure. Parallelism: A told B about X at lunch on Monday, and about Y on Wednesday, but on Friday C told A that X and Y are not true. Is this correct? YES! Is the part “.. and about Y on Wednesday …” a full clause? YES. It is a full clause, properly in parallel, despite the fact that many common words, including the subject and verb of this clause, have been omitted. Don’t look at one little piece of real estate in the sentence and conclude: something’s wrong here, because I don’t see a subject and a verb right here. You always have to look at the whole flow of the sentence, and ask yourself whether words that appear to be missing in the second branch of parallelism are implied by the first branch. Parallelism is a large organizing structure, relating different parts of the sentence to each other. Whenever analyzing a sentence on GMAT Sentence Correction, you always have to keep in mind the logic of the entire sentence. If you have any questions, let us know in the comments section below. 1) Split #1: repeating a predicate. One cannot use “it” to represent the action encapsulated in a verb. The proper way to refer to such action is with the substitute phrase “do so“. Choices (A) & (C) & (E) make the mistake of using the pronoun. Split #2: “instead of” vs. “rather than“. The “of” in “instead of” is a preposition, and its object must be a noun. Thus, “instead of” can only be used to compare single nouns, and the GMAT Sentence Correction seems to avoid even this use. The GMAT also seems to avoid the “instead of” [gerund] structure. The “than” in “rather than” is a subordinate clause, so the structure “rather than” is considerably more flexible in what can follow it. 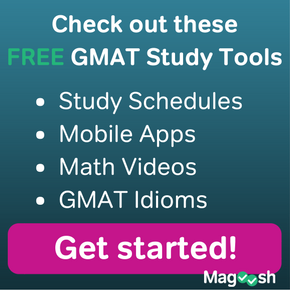 Choices (A) & (D) & (E) all use an “instead of” structure of which the GMAT would not approve. Split #3: common words in parallel. The common words “to invade Roman territory” can be dropped. The only difference between the two branches is the proposition, “by the northern route” vs. “by sea“, so that’s all that needs to be said in the second branch. Choice (C) & (D) include more than necessary, and choice (E) is simply ridiculous in its awkward length. 2) Split #1: the placement of “only”. What do we wish to show is limited? The most natural phrasing is “was the only other”: what is limited is the fact that, after the first, there’s only one more. The phrase “only was the other” is awkward, as if the thing that needs to be qualified as limited is the verb, not the other. The answer choices that have “only” before some form of the verb, choices (A) & (C) & (D), are awkward. Split #2: the “with” + [participle] mistake. The GMAT does not like expressing an action by following the word “with” with a participial phrase. That’s too much action inside a preposition: if you want to talk about that much action, construct another [noun] + [verb] clause! The choices that include “with” + “being“, choice (A) & (B), are awkward, and never would be correct on the GMAT. Split #3: common words in parallel. All the common words can be omitted, even the verb. Even just the words “Electroweak in 1961 the only other” are enough to constitute the clause in the second branch, because the verb is implied by the first branch. Thus, (E) is the most concise, and it is perfectly correct. 3) Split #1: placement of “actually”/”actual”. Both the phrase “he never actually won” and “actually he never won” are correct: the difference in implication is so slight that it doesn’t matter. BUT, the phrase “he never won the actual award” is strange. This implies that he won something else (an imaginary award? ), but not the actual award. This is a problem with choices (C) & (E). Split #2: common words in parallel. We don’t need to repeat a host of common words “[he] was nominated for … Oscar“. We don’t need the noun/pronoun, the verb, or even the preposition “for“. We can drop all of that, and the meaning is still perfectly clear. Therefore, (A) is the most concise version, and it is grammatically and logically correct. 4) Split #1: “to become” or “becoming“. The use of the infinitive “to become” suggests an infinitive of purpose, which in turn, suggests that Clinton purposely set out with the goal of becoming a Vice President of two different Presidents. That’s not what the sentence is trying to say. Clinton served his offices, and then it just happened, he fulfilled this odd distinction. The participle “becoming” allows for the “it just happened” way of looking at it, whereas the “infinitive” suggests a purpose, which does not make sense. Choices (A) & (B) are incorrect. Split #2: the placement of “only“. What do we wish to show is limited? The striking fact is that this distinction, Vice President of two different Presidents, has happened only two times. (BTW, the other was John Calhoun). Thus, “only two men” makes perfect sense. By contrast, the “only one” is entirely illogical — Clinton became “only one of two men”: how could this one man, George Clinton, possibly be more than one? Choices (A) & (D) & (E) are incorrect. Split #3: common words in parallel. We don’t need to repeat the common words “[he] served as Vice President” — all that can be dropped. Choice (C) is the most concise choice, and it is perfectly correct. Answer: The wolf and the coyote can interbreed and produce fertile offspring, but the wolf and fox cannot do so. Why do you need “do so” in this case, when there are other time when you can leave out the predicate completely? Why isn’t “but the wolf and fox cannot” a valid simplification in this case? Here there is no confusion as to what “cannot” is referring to, so the “do so” is implied. However, you may encounter more complicated cases in which it is necessary to reiterate the verb (do so). Just be careful when eliminating “do so,” and if you’re unsure as to whether eliminating it will cause confusion, keep it! By far one of the best tips ive read to tackle this major issue for me. thanks a lot mike! Please explain how to decide whether to drop the preposition or not. I’m happy to respond. 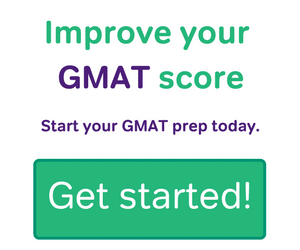 🙂 What you are asking is extremely subtle, and goes way beyond anything the GMAT would expect you to understand. If the preposition has a certain kind of idiomatic connection with the verb, that makes it more likely that, if the verb is omitted, the preposition will be omitted as well. There is not a clear explicit rule about exactly when the preposition can and can’t be omitted. This is why it is crucially important to have a daily habit of reading, so that you develop intuition for the feel of the language. 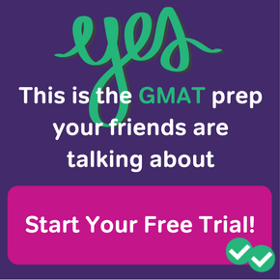 The GMAT WILL NOT test you on this point in particular. Again, this is super-subtle territory, not in the realm of what the GMAT tests. 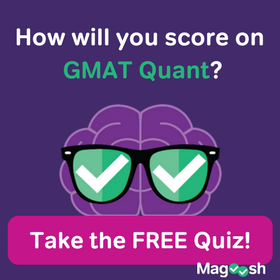 In question #3, you can eliminate the other answers for other clear reasons, leaving (A); even then, arguably, I have written a question that is a little harder than what the GMAT would test. Better a little harder than a little easier! I’m glad you found that helpful. Best of luck to you! My friend, you are quite welcome. Best of luck to you! Here we have two clauses and in the second clause A told B is implied as these are in parallel. 2) ” A told B about X at lunch on Monday and about Y on Wednesday” . Here we have a single clause which specifies two things A told B. Do these sentences have different meaning ? The two versions are identical in grammar and meaning. The comma is purely optional and makes no meaningful difference. The article is very interesting and it’s even more so, as each of the above examples provides glimpses of history and rules of grammar. Kindly help- sentence in example 4, it is not understood by me as to why option B is not the answer. This is subtle, and perhaps even a little more subtle than the GMAT would test. Choice (B) has an infinitive of purpose — click the link in the OE to find out more about this structure. This implies intentionality — it implies that it was Clinton’s goal to serve as VP under two different Presidents. That’s not the meaning we are trying to convey here. As it happened, by chance, this was Clinton’s historical lot, but no one was planning it to turn out that way. That’s why (B) has the wrong sense. Also, (C), the OA, is just more concise. I guess there is a problem with no. 3.
there is a ‘comma’ (,) and ‘and’ after “Peter O’Toole was nominated for his first Oscar in 1962;” it requires a compound sentence, or comma (,) should be omitted to make sense that 1st and 8th Oscar are the two things that Peter was nominated. I believe comma (,) and “and” would be required here is there were a list 3 things. i. e. Peter O’Toole was nominated for his first Oscar in 1962, his third in 2001, and his eighth in 2006….. Thank you. That’s a great editorial eye you have. Comma is removed. In the 3rd question,I am not clear as the why is ‘his eighth’ correct? Is it clear as what eights? Will it not be clearer if we mention Oscar? The fact that his “first Oscar” is mentioned indicates that he was nominated for more than one — that was the first use of an ordinal number in the sentence. When the second ordinal number, “eighth”, appears, it’s clear that it is referring to the same sequence and the same referent. 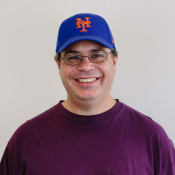 If two ordinals appear in the sentence, and second has no referent, it is unambiguously clear that it refers to the same thing as does the first ordinal. Does all this make sense?